Matthew Whitaker has been sworn in as the new acting Attorney General after President Trump asked for Jeff Sessions' resignation. Here’s what to know about the person now in charge at the Justice Department. VietPress USA (Nov. 7, 2018): Just one day after Democrats took back the control of the House and threatens to open investigation on Trump's Tax return, Trump 2016 campaign that may link to Russia and Trump's financial matters; today President Donald Trump declared on Twitter his decision to push his Attorney General Jeff Sessions to resign. What is the main reason? 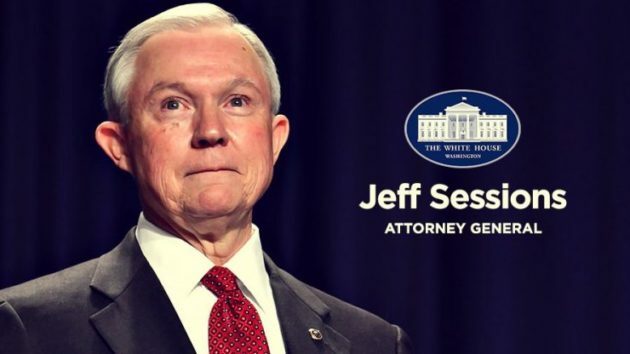 11:44 AM - Nov 7, 2018"
Jeff Sessions submitted his official undated letter of resignation and left the Justice Department. Democrats worry that firing Sessions is a path to removing special counsel Robert Mueller and trying to end the probe. Many times Trump asked Jeff Sessions to stop Special Counsel Mueller's Russia investigation on Trump campaign 2016. Trump denied on this, but almost his high rank officials got charged and jailed. Matthew Whitaker, Chief of Staff to Attorney General Jeff Sessions at the Department of Justice, has been sworn in as the new acting Attorney General after Jeff Sessions announced his resignation from the position Wednesday — hours after a handful of Election Day races rocked the country. 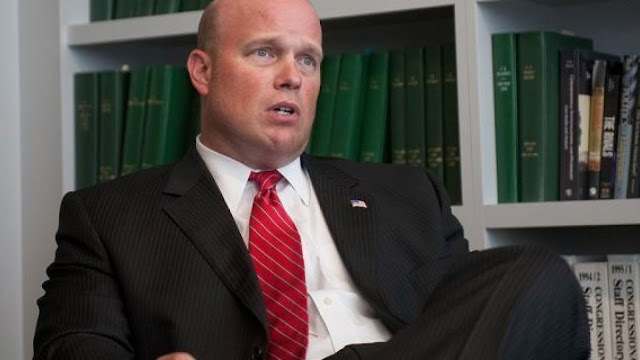 Matthew Whitaker, 49, already has some experience under his belt. He was a former Hawkeye (Football star) in Iowa. He played in the 1991 Rose Bowl for the University of Iowa as a tight end, the Des Moines Register points out. Sessions, in a one-page letter to Trump, said he was resigning ‘‘at your request.’’ The resignation was the culmination of a toxic relationship that frayed just weeks into Sessions’ tumultuous tenure, when he stepped aside from the Mueller investigation. The Sessions resignation letter: "At your request, I am submitting my resignation." As he left, Sessions appeared emotional and said, ‘‘Thank you’’ and ‘‘God bless,’’ before hopping into a waiting SUV. He also shook hands with his chief of staff, who was appointed acting attorney general. Attorney General Sessions says farewell to the Department of Justice. Asked whether Whitaker would assume control over Mueller’s investigation, Justice Department spokeswoman Sarah Flores said Whitaker would be ‘‘in charge of all matters under the purview of the Department of Justice.’’ The Justice Department did not announce a departure for Deputy Attorney General Rod Rosenstein, who appointed Mueller and has closely overseen his work. Whitaker once opined about a scenario in which Trump could fire Sessions and then appoint an acting attorney general who could stifle the funding of Mueller’s probe. In that scenario, Mueller’s budget could be reduced ‘‘so low that his investigation grinds to almost a halt,’’ Whitaker said during a July 2017 interview with CNN. In attacks delivered on Twitter, in person and in interviews, Trump called Sessions weak and beleaguered, complained that he wasn’t more aggressively pursuing allegations of corruption against Democratic rival Hillary Clinton and called it ‘‘disgraceful’’ that Sessions wasn’t more serious in scrutinizing the origins of the Russia investigation for possible law enforcement bias — even though the attorney general did ask the Justice Department’s inspector general to examine those claims. The broadsides escalated in recent months, with Trump telling an interviewer that Sessions ‘‘never had control’’ of the Justice Department and accusing him on Twitter of not protecting Republican interests by allowing two GOP congressmen to be indicted before the election. Sessions endured most of the name-calling in silence, though he did issue two public statements defending the department, including one in which he said he would serve ‘‘with integrity and honor’’ for as long as he was in the job.